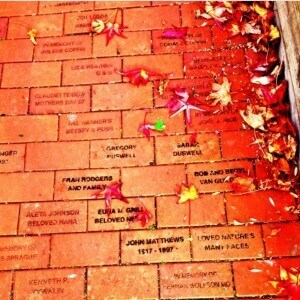 Patrons now have an opportunity to personalize bricks being placed in the Sensory Garden’s walkway of friendship. Each engraved brick demonstrates continued support of the Nature Center, provides a fine way of honoring a special person or organization, or creates a lasting memorial to loved ones. Your brick helps sustain the quality of the Beaver Lake experience. 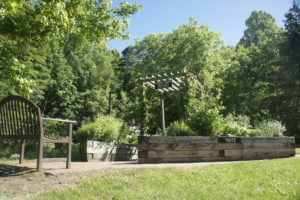 Created as a quiet area to touch, taste, smell and see a variety of herbs, the garden’s unique design allows for comfortable accessibility by everyone, including those using wheelchairs. 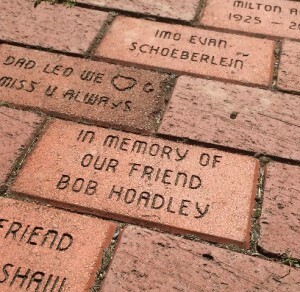 download our Personalized Walkway Bricks Form. 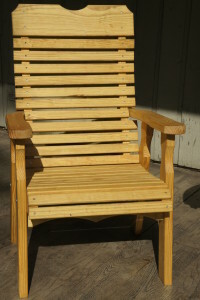 Another wonderful way to recognize someone you love and support the Nature Center at the same time. 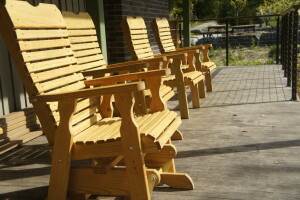 These porch chairs or gliders are new additions to the Nature Center.